Born Michael Atha, Yela’s musical swagger can be traced back to the slang and spiritualism of his small hometown in Gadsden, Alabama.His captivating experiences as a cross-country vagabond equipped him with the evocative precision of a master storyteller. The pride in his southern background is in the forefront of his mind as he takes you on a sonic joyride across sample laden guitar licks and old classic rock cuts. After years of riding waves of underground triumph with his mixtapes, Yela found commercial success with his 2011 breakout album, Radioactive. The album was his first release under the umbrella of Shady Records and took the world by storm with hisrapid-fire delivery of detail from his fascinating upbringing through a truth-telling lens. His 2015 follow-up record continued to propel him upward with Love Story peaking at number 3 on the Billboard Top 200. His third full-length, Trial By Fireout this Friday, is one of the most hotly anticipated albums of the year. 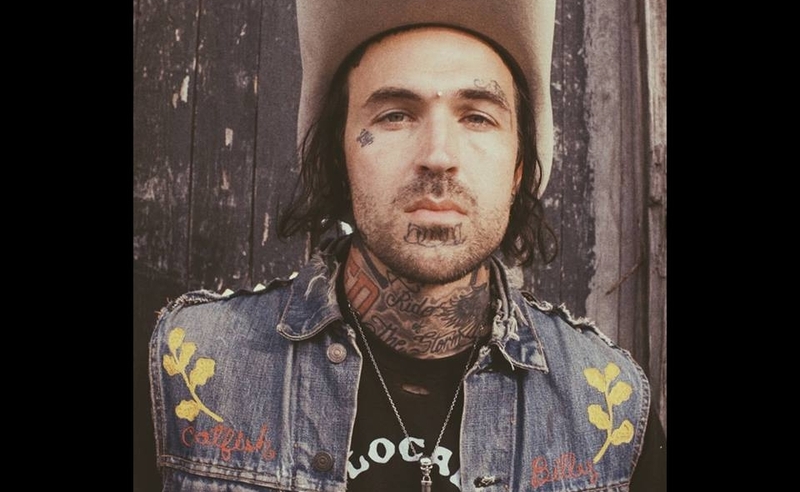 If the single ‘Punk’ featuring Travis Barker and Juicy J is anything to go by, expect more of the rustic, melodic, southern-swing hip-hop we’ve all come to love of Yelawolf.